Game is now released! Thanks for all the feedback! Go to http://ifallingrobot.com/ to check it out. A classy game inspired by the golden age of silent film. 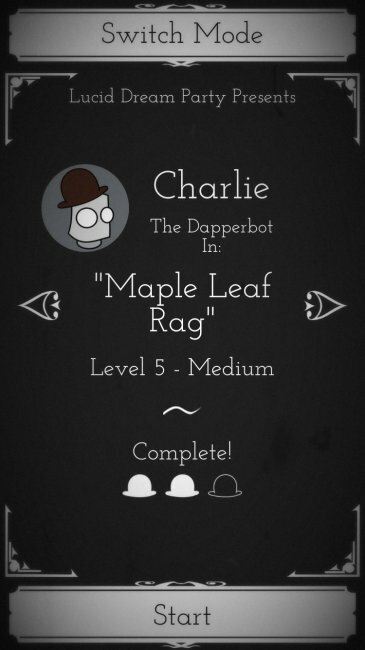 Play as Charlie the Dapperbot (an extremely dapper robot), as he falls from a great height. 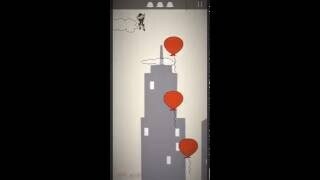 Dodge, swipe, and tap obstacles to land safely. Progress through increasingly difficult levels, each based on piece of classical music. Challenge yourself with multiple modes of play, achievements and leaderboards. Download Note: Open beta is hosted on Google Play. You will need to opt in with your Google Play account and then you should be able to download the app like you would any other app through the Google Play store. If you hit an error makes sure that 1) your logged in with your device's account 2) Google sometimes has a delay between opting in and allowing the download, give it a minute and then retry. If people have issues with Google Play I'll post a direct link to the APK. Well where can I start . 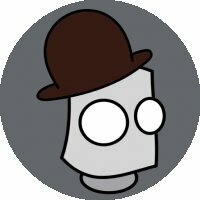 This is most likely your first attempts of making a game, and be proud of it. Be very proud of it. You made something playable. I've tried it, and I can tell you nothing here is new, as you most likely know yourself. Me and my prof. called this games, WC games, as its something I would play on my way to the bathroom. Take no offence here but everything needs changing if you are going to make it as "your idea and mehanics"
This is seen like from Doodle jump, and even before, in the old NES games. What you need to do is go out there and make almost the same but a bit advanced game, like when I press on the screen it can shoot the balloons, and from there build up your knowledge of making games and you'll get better. Thanks for the feedback. You're right, I set out to make a very simple mobile game as my first game, sorry you thought it was too simple. I don't know if I agree with you that more complexity is inherently a good thing, for instance, as much as I enjoy Doodle Jump I actually think the shooting mechanic adds nothing. Anyway I appreciate you taking a look. Thanks for taking a look at the game, I appreciate the feedback. Follow up question for you. Did the controls feel too sensitive / not sensitive enough? It's been hard to balance the sensitivity across different devices. The controls kind of feel like a mix of both too sensitive/not enough. Its like the the tilt is making the robot accelerate instead of consistent speed. I dislike tilt controls in general. The trouble is you are moving the screen around and it makes it hard to focus. Some 3DS games I have use it and I always find it tricky. You could just have the bottom part of the screen split into left and right. The player could touch the bottom left or right side of the screen to move. I love the graphics man, it's so cool, well done. And the whole idea of the game is awesome. Really congratz on your game. One thing for me is somehow just weird, and that is the mechanics. I mean they work really well, but the thing is, players like when they have more control of the hero. I would slow down the game somehow, slow down the upcoming obstacles and stuff, slowdown the hero movement.. I don't know exactly, play with it and see what is the best for you. Once again I have to say that I really enjoy in playing it. Thanks for the feedback. It's been a struggle to get the controls to feel right and I am still tweaking things. But I am glad to hear that you enjoyed the game.